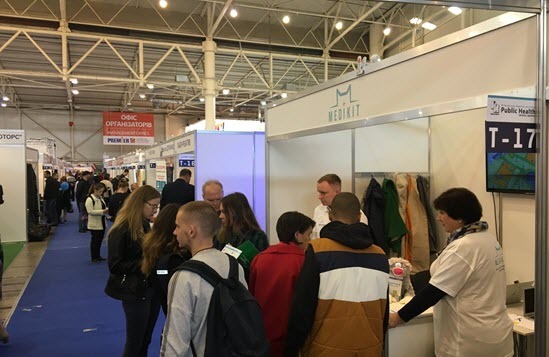 Ukrainian startup Medikit, whose head of the supervisory board is the ex-head of the NBU, Valeriia Gontareva, has launched a platform for online consultations with the Telekit doctors. This is reported by the project CEO Ruslan Kravets. Telekit is an online platform that brings patients and doctors together. With its help, users can ask questions about their health, and get advice from professional doctors. “We want people to ask for advice not from Google, but a doctor. With Telekit, you can do this conveniently, quickly and without leaving your home,” – comments Ruslan Kravets. Any citizen of Ukraine can register on the platform. To do this, a user should enter the phone number, email, and create a password. A user can also use EDS for registration. The search for a doctor on Telekit occurs automatically: the patient’s question is displayed for all specialists who are active on the platform and whoever can help, connects and consults the patient. At the same time, the user can change the doctor. You can communicate with the doctor in text format and via video chat. As Kravets told League.net, the first month access to the platform will be free. Then the service of instant online consultation will cost 150 UAH. This amount includes the commission of the platform, which is about 25%. At the time of launch there are six doctors in “Telekit”. In his comment for AIN.UA, Kravets pointed out that the team has planned marketing activities to attract doctors and clinics. Only the web version of Telekit is available at the moment, however, it is promised to release mobile apps soon. In the future, Medikit plans to provide two more services such as making an appointment and ordering doctor’s visit to your place. “In addition, starting December 12, the function of payments between patients and a doctor will be activated. Plan is to connect to the eHealth system as a medical information system (IIA), integrate the service with pharmacies, laboratories and diagnostic centers, as well as develop a retail insurance product,” – said Kravets.